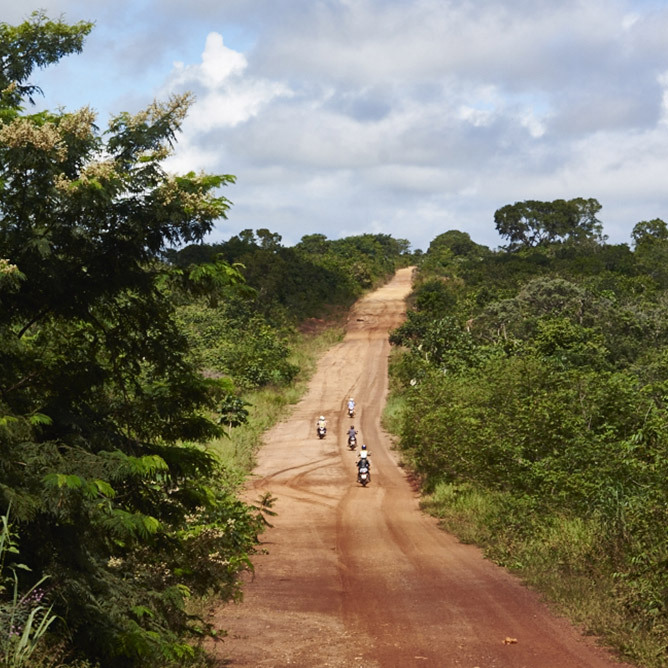 From the Rio beaches to the heart of the Amazon rainforest, relive the best parts of L'equipee girls' motorcycle trip on the Brazilian roads. It's the fascinating journey of five Parisian girls, on a mission to meet Brazilian women and to understand what beauty means to them, according to their culture. Enjoy their journey with us with this video... while we wait impatiently for their next trip. Ready to go again ! 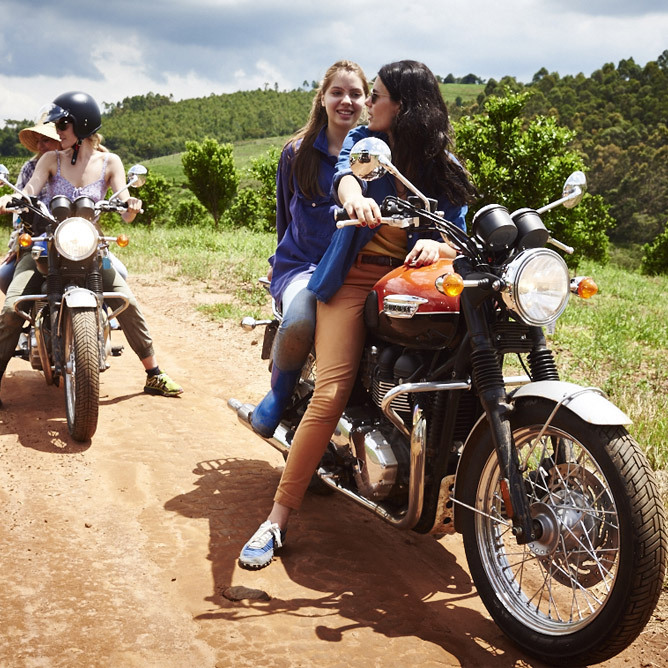 Even though they just set foot back home after their motorcycle trip in Brazil, L'equipee girls already can't wait to hit the road once again. 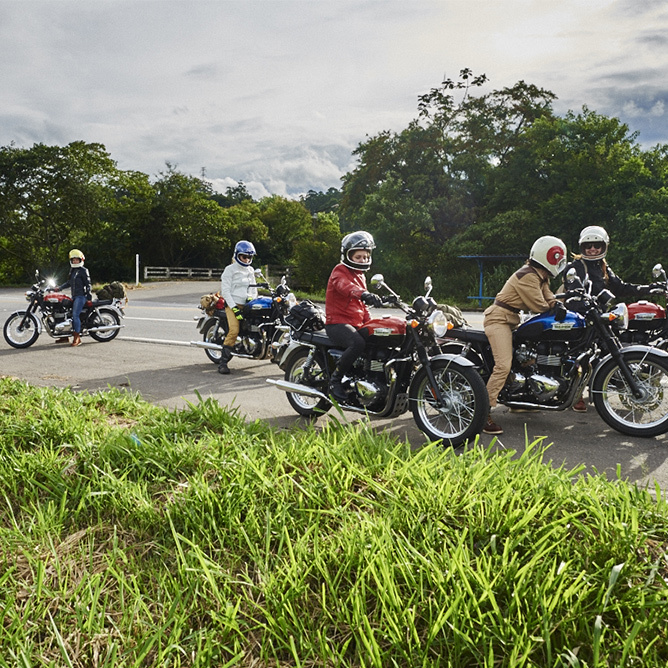 Conversations within the biking gang inevitably turn to the central question: where to go next. L'equipee is a gang of Parisian bikers... who have a bit of a wild side! 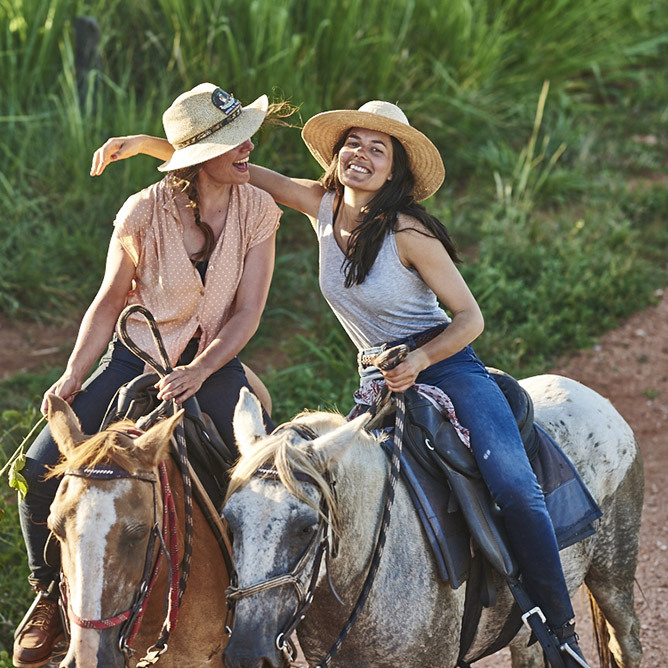 Throughout their Brazilian trip, the girls never missed an opportunity to enjoy life to the fullest. Here are their best moments, in pictures. For Louise B, beauty is fundamentally all about a woman's independence. And they’re off! 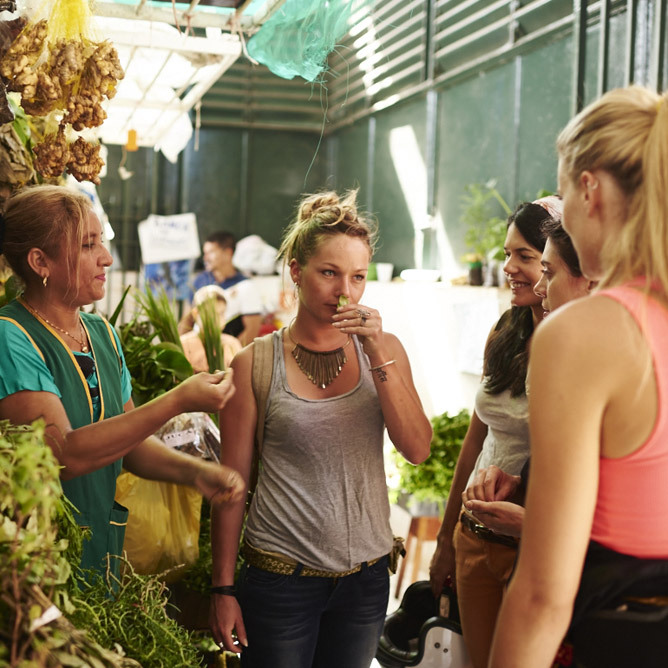 Follow the day-to-day journey of 5 women across Brazil, they’re meeting people from all walks of life to discover what real beauty means. 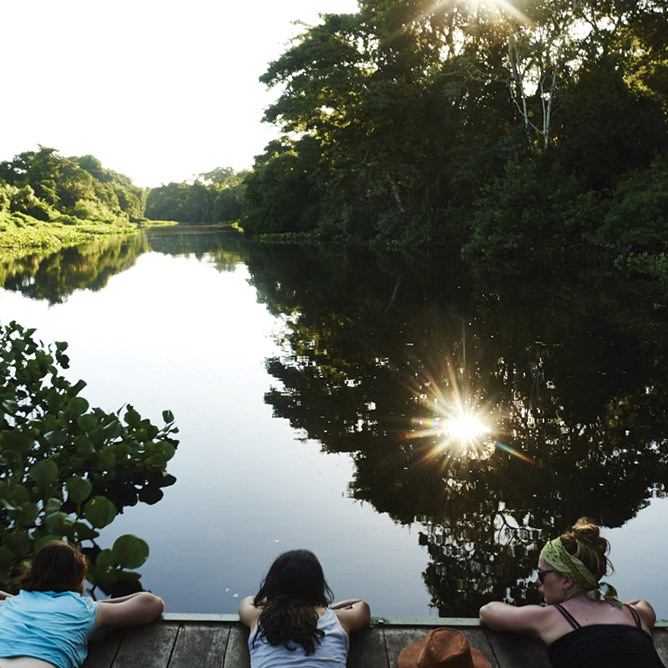 discovering the beauty rituals of the Amazonian indians. 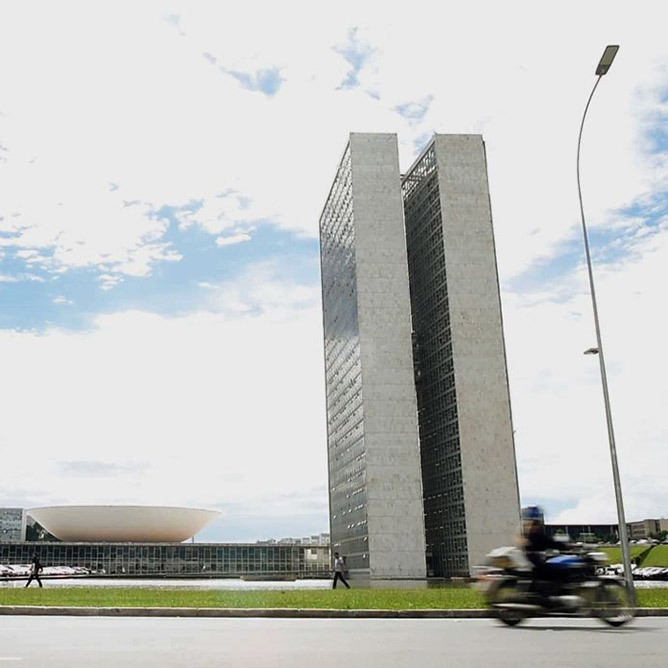 From Brazilia with love ! What does beauty mean around the world? 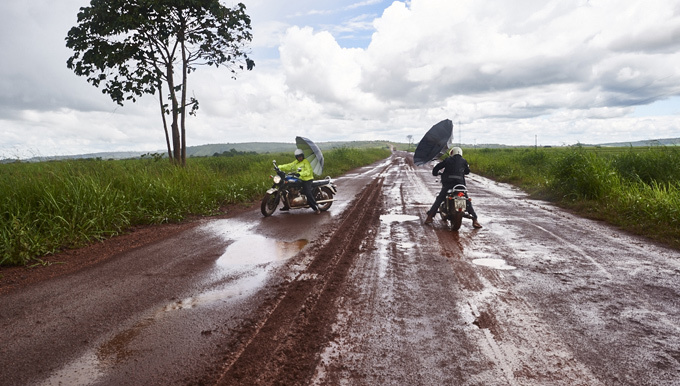 "L'équipée's" girls will cover almost 4000 km of vast Brazilian landscapes on their motorbikes. For three weeks these women are setting off on a journey to discover beauty in all its expressions and share with us. They’ll also meet other strong, independent, beautiful women who fulfil their potential in their own personal way. The road to beauty will show this epic trip through the eyes of the five members of "l’équipée". A journey filled with positive energy that will make the girls stronger and more beautiful. Cécile is almost always in a good mood. She has the reputation of being hyperactive and absolutely loves extreme sports and anything that pushes her to her limits. Cécile is as creative as she is adventurous and loves playing around with words and images. With the encouragement of the girls from "l’équipée", she has just made her first documentary, recounting their first trip to the Himalayas together. 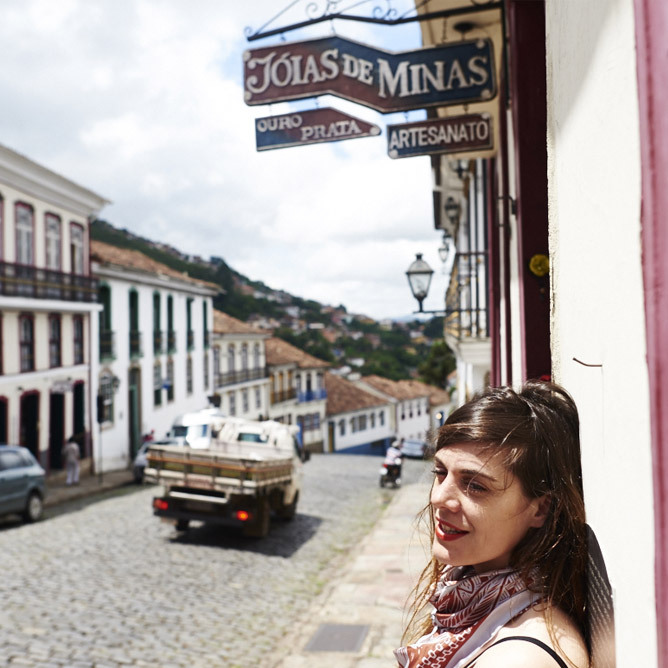 Her dream now, is to combine her love of filming with her taste for adventure. Louise D lives amongst her animals, big or small. A fan of DIY, she spends entire days restoring salvaged objects and making her own essential oils. She also gives her all to her favourite sport: Pole Dancing. Highly spontaneous and emotional, Louise is always around to lend a hand. She wears her heart on her sleeve and loves to share. She dreams of creating an educational farm for children in need and share her love of nature with them. Pauline is the youngest of the girls. A down-to-earth girl brought up amongst her dad’s English motorbikes. A lover of strong sensations, she loves speed and takes her bike around motorbike circuits on the weekend. She’s also a snowboarder. She likes making things with her own hands and working with wood. She works as a set technician in a well-known Parisian theatre. Albeit discrete, she lets her hair down when on the open road. Louise B is an infectious ball of energy. Those who know her say she’s Miss Multi-tasker! Here’s the proof: after 12 years study, she recently became a Doctor in reconstructive and plastic surgery. Despite her busy schedule, she still finds time to travel, mainly to India. Her dedication to surgery and her love of travel has led her to combine the two and participate in humanitarian missions. An athlete and talented horse rider, Cindy is a former member of the French national equestrian horse jumping team. She continues to horse ride (forest treks, just for fun), she also skis and sails. Her grandfather taught her relaxation therapy, during her competitive years, which improved her mental strength and discipline. Cindy is an adventurer who never complains and is always the height of French chic, whatever the circumstance. 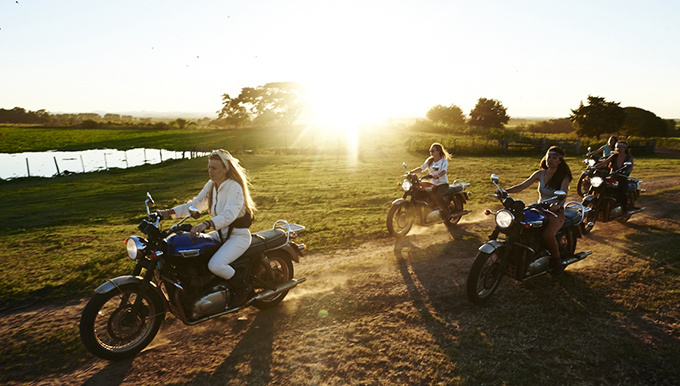 "L'équipée" are five Parisian women who share a love of old vintage motorbikes and a taste for adventure. Brave, feminine and a lust for freedom prompts these rebellious nonconformists to constantly push themselves to the limit. 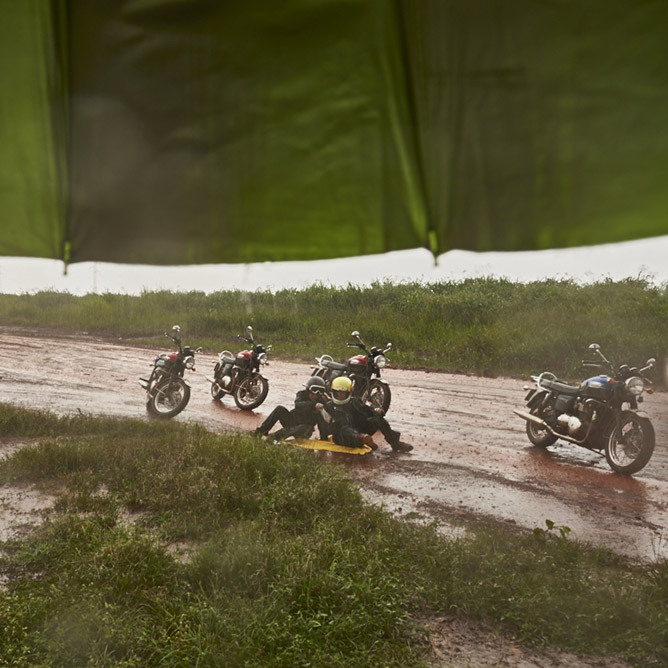 After tackling one of the most dangerous roads in the Himalayas on motorbikes, they’re off to Brazil to meet women from other cultures to discover what beauty really means.